life. love. lenses. literature. (and lattes). Posted on August 15, 2014 by Melanie B. 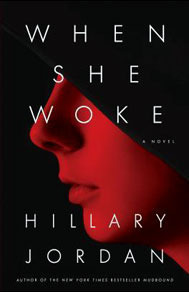 When She Woke by Hillary Jordan was a very strange book. The entire time I was compelled to read it, but I could not decide if I liked it or not. I thought it was very interesting, but it was very odd and I didn’t really enjoy the “futuristic” part of it (a.g. criminals were turned a different color). Also, there was a lot of imaginary electronics. The part that I found interesting, and timely, is that the line between church and state was gone. I didn’t hate the book, but I’m not sure if I would recommend it. I borrowed it from the library and I’m not disappointed that I read it, but it’s not on my “must-recommend-and-tell-everyone-to-read” list. I am red now. It was her first thought of the day, every day, surfacing after a few seconds of fogged, blessed ignorance and sweeping through her like a wave, breaking in her breast with a soundless roar. Hard on its heels came the second wave, crashing into the wreckage left by the first: he is gone. Hannah Payne’s life has been devoted to church and family. But after she’s convicted of murder, she awakens to a nightmarish new life. She finds herself lying on a table in a bare room, covered only by a paper gown, with cameras broadcasting her every move to millions at home, for whom observing new Chromes—criminals whose skin color has been genetically altered to match the class of their crime—is a sinister form of entertainment. Hannah is a Red for the crime of murder. The victim, says the State of Texas, was her unborn child, and Hannah is determined to protect the identity of the father, a public figure with whom she shared a fierce and forbidden love. A powerful reimagining of The Scarlet Letter, When She Woke is a timely fable about a stigmatized woman struggling to navigate an America of the not-too-distant future, where the line between church and state has been eradicated, and convicted felons are no longer imprisoned but chromed and released back into the population to survive as best they can. In seeking a path to safety in an alien and hostile world, Hannah unknowingly embarks on a journey of self-discovery that forces her to question the values she once held true and the righteousness of a country that politicizes faith and love. Please view “reading now” for current and past book postings. Posted on August 12, 2014 by Melanie B. This is my sister, Hannah. 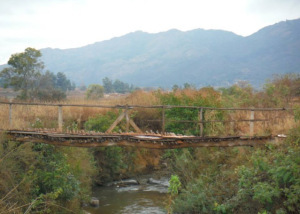 She joined the Peace Corps and is in Swaziland, Africa. She just arrived last month. I love reading her blog, so I thought I’d share! I am a Peace Corps Trainee (PCT). Before you’re a volunteer you’re a trainee and I’m pretty happy with that. We are staying in Matshapa, Swaziland and everything around us is so beautiful. The dirt is red. And I mean bright red. It covers everything and anything it can get to with this Tuscan sun color that could put a real Tuscan sun to shame. Its so cool, until its in my water bottle. I see mountains in every direction I look with houses in all it’s crevasses. The birds are loud here. Like a crow with a megaphone. But there songs and laughs are beautiful. The mornings are cold and the days are hot. I laughed, as a Minnesotan, when they said its gets cold in Africa but they weren’t lying. Layers are important. We Are Water by Wally Lamb was an interesting book. Wally Lamb’s writings are always in touch with disturbed people’s deepest, darkest thoughts and actions. This is not an uplifting book, but it was a good read. Any time he comes out with a new book… I scramble to read it! I would recommend this book. If you like this book, he’s also written She’s Come Undone, which was a great read. In middle age, Annie Oh—wife, mother, and outsider artist—has shaken her family to its core. After twenty-seven years of marriage and three children, Annie has fallen in love with Viveca, the wealthy, cultured, confident Manhattan art dealer who orchestrated her professional success. Annie and Viveca plan to wed in the Oh family’s hometown of Three Rivers, Connecticut, where gay marriage has recently been legalized. But the impending wedding provokes some very mixed reactions and opens a Pandora’s box of toxic secrets—dark and painful truths that have festered below the surface of the Ohs’ lives. We Are Water is an intricate and layered portrait of marriage, family, and the inexorable need for understanding and connection, told in the alternating voices of the Ohs—nonconformist Annie; her ex-husband, Orion, a psychologist; Ariane, the do-gooder daughter, and her twin, Andrew, the rebellious only son; and free-spirited Marissa, the youngest Oh. Set in New England and New York during the first years of the Obama presidency, it is also a portrait of modern America, exploring issues of class, changing social mores, the legacy of racial violence, and the nature of creativity and art. 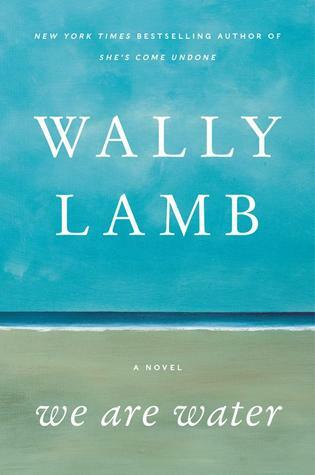 With humor and breathtaking compassion, Wally Lamb brilliantly captures the essence of human experience in vivid and unforgettable characters struggling to find hope and redemption in the aftermath of trauma and loss. We Are Water is vintage Wally Lamb—a compulsively readable, generous, and uplifting masterpiece that digs deep into the complexities of the human heart to explore the ways in which we search for love and meaning in our lives. 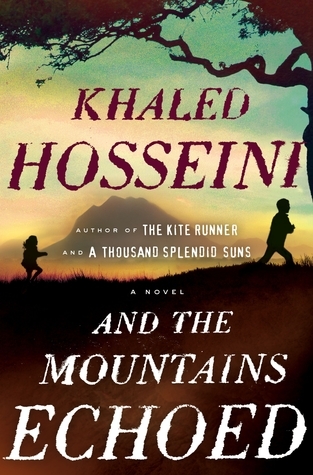 Posted on August 6, 2014 by Melanie B.
I loved And the Mountains Echoed by Khaled Hosseini. This was a great book. It was completely different than I expected… We saw the many, many dynamics of family. From parents to siblings to cousins and how we can nurture each other or wound each other. Khaled Hosseini is an incredible writer and this book will not disappoint you. Khaled Hosseini is also the author of The Kite Runner and A Thousand Splendid Suns. These are also VERY good books that I would highly recommend! An unforgettable novel about finding a lost piece of yourself in someone else. Khaled Hosseini, the #1 New York Times–bestselling author of The Kite Runner and A Thousand Splendid Suns, has written a new novel about how we love, how we take care of one another, and how the choices we make resonate through generations. In this tale revolving around not just parents and children but brothers and sisters, cousins and caretakers, Hosseini explores the many ways in which families nurture, wound, betray, honor, and sacrifice for one another; and how often we are surprised by the actions of those closest to us, at the times that matter most. Following its characters and the ramifications of their lives and choices and loves around the globe—from Kabul to Paris to San Francisco to the Greek island of Tinos—the story expands gradually outward, becoming more emotionally complex and powerful with each turning page. Posted on August 4, 2014 by Melanie B.
I absolutely, positively loved Eleanor & Park by Rainbow Rowell. I felt like I was 16 again! 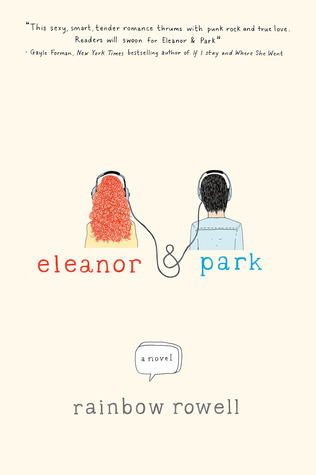 The author did a great job of bringing both Eleanor and Park to life. As the reader, you can put yourself into those kid’s shoes and feel everything they were feeling. I bought this book for my teenage daughter (again, just like the Divergent, Insurgent, and Allegiant) and ending up reading it myself. Great book for teens and parents alike! Posted on August 2, 2014 by Melanie B. By day he made thousands of dollars a minute. By night he spent it as fast as he could. 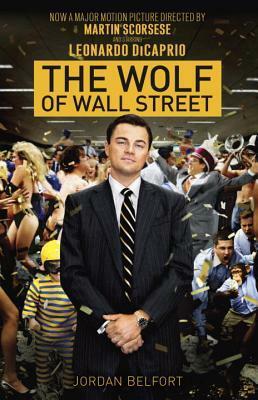 From the binge that sank a 170-foot motor yacht and ran up a $700,000 hotel tab, to the wife and kids waiting at home and the fast-talking, hard-partying young stockbrokers who called him king, here, in Jordan Belfort’s own words, is the story of the ill-fated genius they called the Wolf of Wall Street. In the 1990s, Belfort became one of the most infamous kingpins in American finance: a brilliant, conniving stock-chopper who led his merry mob on a wild ride out of Wall Street and into a massive office on Long Island. It’s an extraordinary story of greed, power, and excess that no one could invent: the tale of an ordinary guy who went from hustling Italian ices to making hundreds of millions—until it all came crashing down. 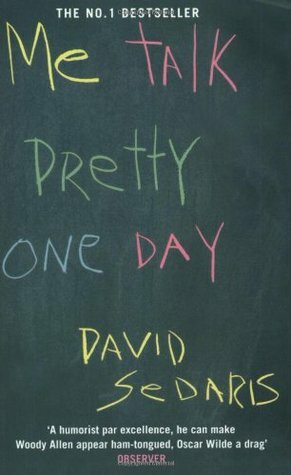 Me Talk Pretty One Day by David Sedaris was HILARIOUS!!!!!! (Yes, lots of exclamation points!!!) I laughed out loud so many times! I did not read the back of the book and actually thought I was borrowing a totally different type of book, perhaps about someone new to America? My mind went everywhere but where the book went! This is a memoir, of sorts, about David’s life. They way he describes himself (very self deprecating), his family (beyond funny) and friends was so humorous! This was a quick and funny read and I would totally recommend reading it. If you do, let me know what you think! David Sedaris’ move to Paris from New York inspired these hilarious pieces, including the title essay, about his attempts to learn French from a sadistic teacher who declares that every day spent with you is like having a caesarean section. His family is another inspiration. You Can’t Kill the Rooster is a portrait of his brother, who talks incessant hip-hop slang to his bewildered father. And no one hones a finer fury in response to such modern annoyances as restaurant meals presented in ludicrous towers of food and cashiers with six-inch fingernails.